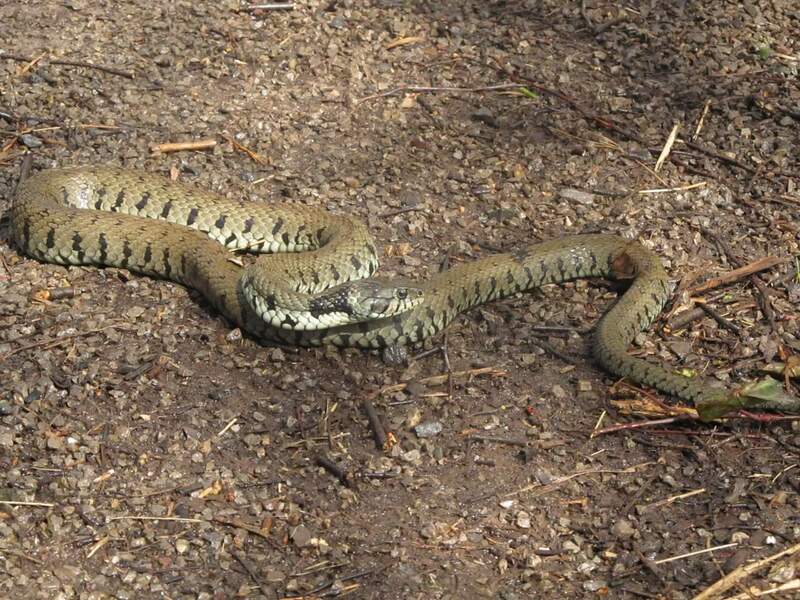 Gerry Siron spotted this magnificent specimen on the towpath north of Coed Gwilym Park. 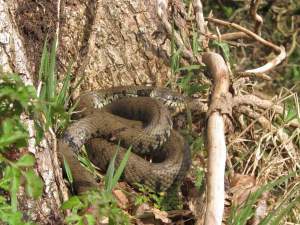 It was very lethargic but seemingly uninjured so he carefully moved it to recuperate in the shelter of a sunny nook at the foot of a nearby oak tree. 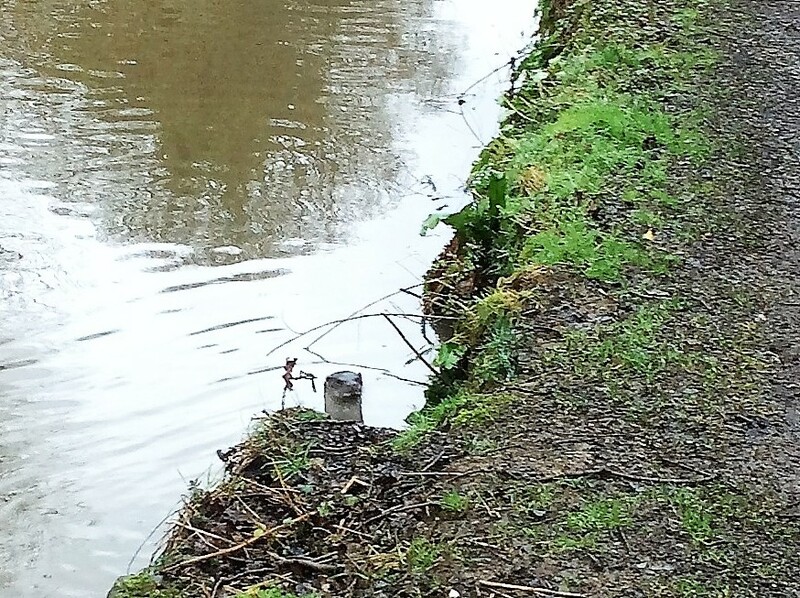 An otter has been seen in the Swansea Canal, just north of Holly Street Bridge in Pontardawe. 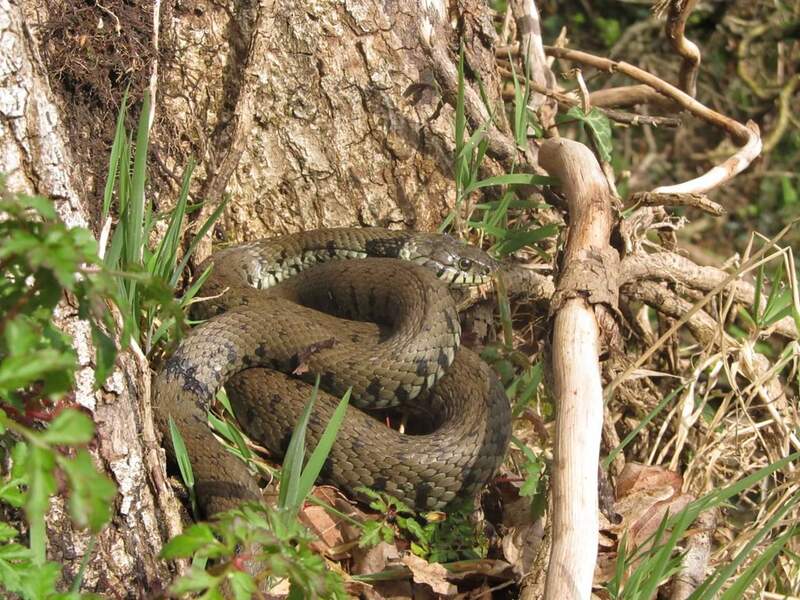 Here are two versions of the same photograph, firstly as taken and then zoomed in. As far as we know, this is the first time an otter has been caught on film in the canal, but do you know different? It may also be the first time for a very long time that anyone has even glimpsed an otter. Let us hope this is the first of many sightings. 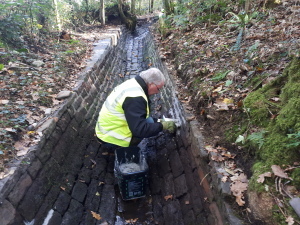 We are indebted to Alan, Asset Inspector for the Canal and River Trust Wales and South West, for taking and providing the photograph. 32nd Swansea Scouts on the canal. 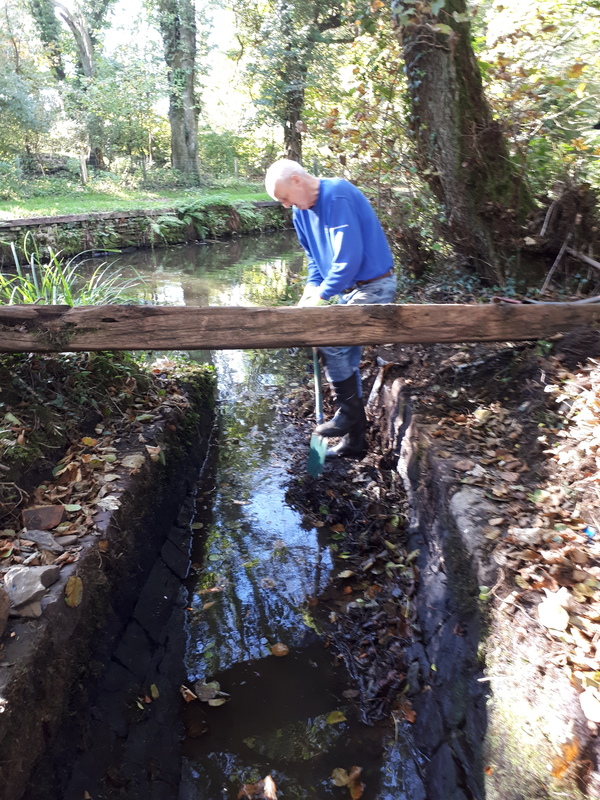 The joint application by the Canal & River Trust and Swansea Canal Society for grants from the Rural Communities Development Fund [funded by the European Union’s European Agricultural Fund for Rural Development and by the Welsh Government] has been successful! The canal between Clydach and Trebanos will be dredged by approved contractors under the supervision of the Canal & River Trust, starting in Autumn 2019. 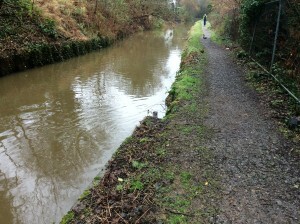 The Swansea Canal should be a premier visitor destination. SCS volunteers are already repairing the historic structures along the waterway. A beautiful but underused canal is being transformed into a major visitor destination. This will help support local businesses by raising the profile of the rural areas of Neath and Swansea as a base for tourism, with more money spent in the local economy by visitors. 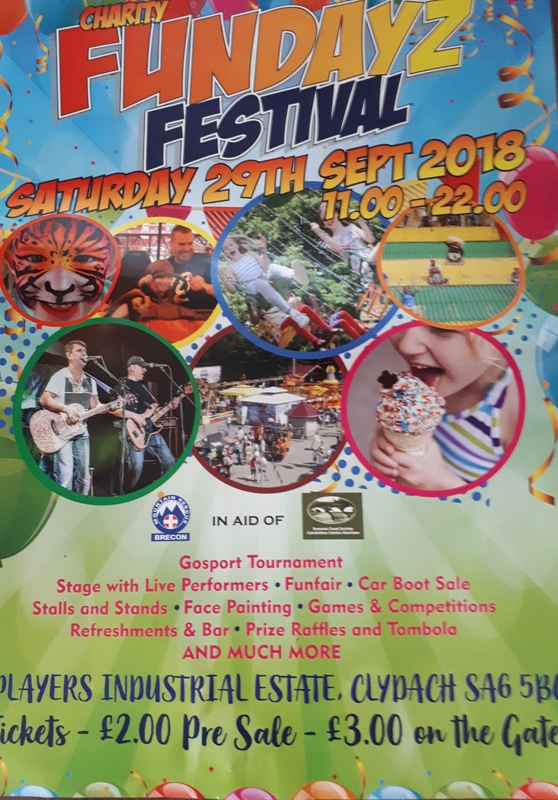 With a trip boat, a boat festival, canoeing, disabled angling, high-quality interpretation of our valley’s heritage and the development of Clydach Lock the Swansea Canal will be an exciting place to visit, as well as offering healthy lifestyle activities such as walking and cycling. 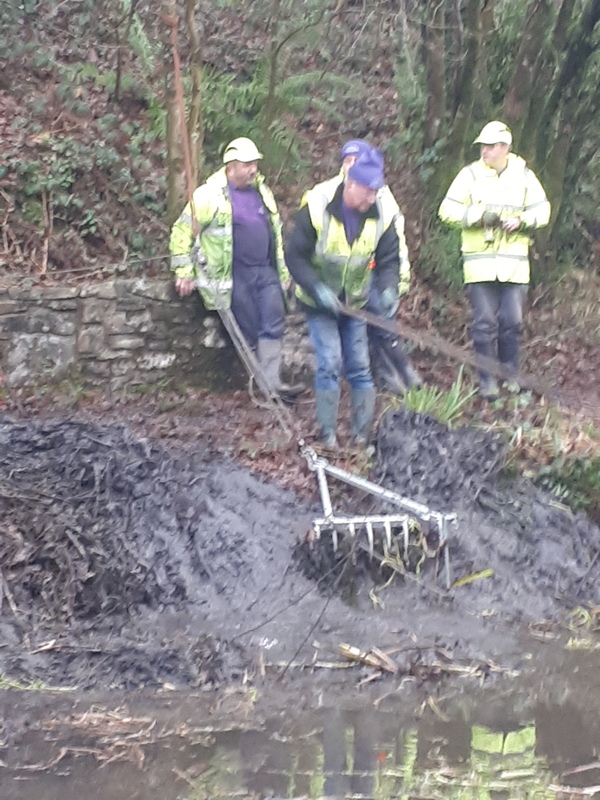 Central to the project will be the dredging of almost a mile of the canal, between Coed Gwilym Park in Clydach and Trebanos, due to start in Autumn 2019. 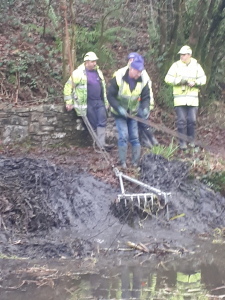 Over 6,700 cubic metres of silt will be removed from the channel – the equivalent of more than 8,300 bath tubs full of water – which will enable Swansea Canal Society to operate a trip boat, in addition to improving the canoeing sessions that they already offer. It comes at a time when Welsh government recognises that 60 per cent of the adult population of Wales would like to visit “the outdoors” more often. Research from Glandŵr Cymru shows that, as well as the health benefits offered by walking, running or cycling on the towpath, simply spending time by the water can help people feel happier and improve their life satisfaction. With many people living close to a canal or river, Wales’ waterways are uniquely placed to help people improve their physical and mental well-being. We are transported back to the 1930’s as Mair shares her childhood stories of growing up alongside a canal in South Wales. Mair was born in 1932 and grew up in an early 18th century lock cottage in Ystradgynlais, South Wales. Today there is no canal outside the lock cottage due to the in-filling of much of the Swansea Canal over the past 50 years and the northern section is now the A4067 road. We sat down with Mair to hear her memories of what it was like growing up next to the Swansea Canal. I was born at Lock Cottage in 1932. My mother, Janet Jones, was also born at the house in the early 1900’s. Both 1 and 2 lock cottage originally belonged to my grandmother and my mother sold one of them and we lived in the other. My sister and I used to walk up the road to school in Penrhos and we crossed the river and went up the hill. This top bit was called Ynys Uchaf (the top island) and Ynys Isaf was the lower island. We used to pick wild strawberries on the walk to school. They were only little ones but by the time we reached school (often late) our faces would be all red from the strawberries we’d eaten. Growing up in the house we all spoke Welsh to one another but when I went to school we were not allowed to speak Welsh, so I actually learnt to speak English at school. A fond memory I have is of my sister and I when we would to go into the woods across from the canal and make lovely little houses out of ferns. We used to get an empty can of Ideal milk and use the water from the canal to pretend we were having cups of tea. The lock outside Lock Cottage was full of eels – I’m not joking it was. 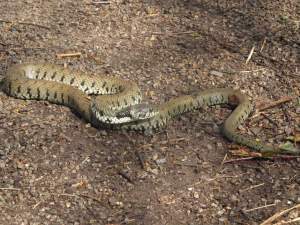 One of the local boys who lived down Long Row would jump over the canal and say “Come on girls – jump.” Sometimes he would throw an eel out of the canal and we were petrified! I was only a little girl and once my mother was really furious with him because an eel landed on me and I didn’t sleep for weeks afterwards. From being very little I remember the canal wasn’t working. It wasn’t used for anything as it was too shallow, only a few inches deep, that’s why I think they used it as a road. There were parts that were deeper and we were told never to go there, but where we were in the Ynys it was all shallow. My mother remembers it as a fully working canal, very deep with coal barges going along. Between Ynys Uchaf and Ynys Isaf there was a big round part in the canal where the boats could turn, a winding hole. When my mother was little she would go to the winding hole and watch them turning the boats around because it was really, very clever how they did it. They were so heavy full of coal. She used to see the horses pulling the coal barges along the towpath and said it was a very busy canal. My mother, used to throw something to eat to the men working on the coal barges, and she had a little window in Lock Cottage to serve people like a little shop selling chocolate, sweets and cigarettes. She was a really clever woman and there were only two females in the whole school who passed their eleven plus and my mum was one of them and my brother in law’s mum was the other one. Whenever my children needed help with maths they would always go straight to her. When I was seven, I got appendicitis and had to have an operation at Swansea hospital. I then got moved to a convalescent home for two months to recover. When I returned home to Lock Cottage WWII was on and my mum had to go to work in an ammunitions factory. I continued my recovery at home and was put on bedrest upstairs. We didn’t have a toilet upstairs so my mother said to me “Don’t move! Call me if you want to use the bathroom or you will have to use the potty”. I was fed up of using the potty so off I went down the stairs and three steps from the bottom I fell right onto my appendix scar and it burst right open. So it was months of recovery again then and my mother didn’t have to go back to the factory as she was at home looking after me. After that we slept downstairs. We had to pull the bed down into the front room because I was too fragile to go up the stairs. I loved living in a house next to a canal and I loved the lock. The water ran all day in the lock and when we had visitors they couldn’t sleep because of the noise but we couldn’t sleep when they turned the water off because we were so used to it. When we had visitors my sister and I used to sleep up in the loft. They finally turned the water off for good when they decided to finish the canal and then they started cementing it. It was horrible and I was really really sad. Life around the canal was lovely and the lock was lovely, really lovely. The future of the Swansea canal is in the care of Glandwr Cymru The Canal & River Trust in Wales working in partnership with Swansea Canal Society formed in 1981 who are a dedicated group of volunteers who undertake a wide range of tasks on the canal – including weekly maintenance tasks, litter picking, historical talks and canoe hire. Future plans include the dredging of the canal allowing for a trip boat as well as uncovering and restoration of a buried lock at Clydach. With so much of the original canal alignment lost over the years only glimpses of this historical transportation route which was once the motorway of its day remain. The canal cottages and aqueduct at Ystradgynlais and the abandoned locks along the A4067 remind us of the important role the canal once played in transporting industrial products along the Swansea valley. Today the remaining canal sections either side of Pontardawe provides a green / blue corridor in an urban landscape connecting Ynysmeudwy to Clydach providing health benefits for walkers, joggers and cyclists whilst enjoying the heritage and wildlife of the canal. Built by the Swansea Navigation Company between 1794 – 98, in 2023 the Swansea canal will celebrate its 225th Anniversary. 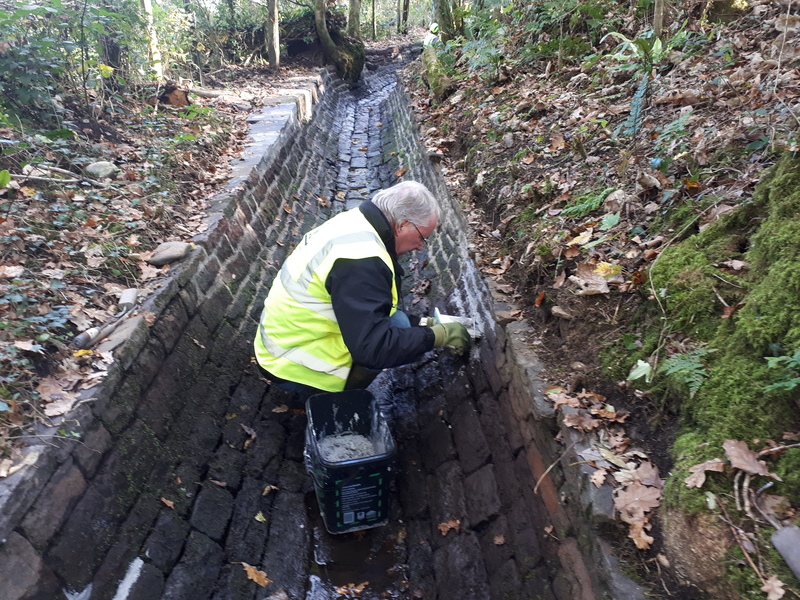 We are a society run by volunteers who are all enthusiastic about maintaining, improving and restoring the canal. 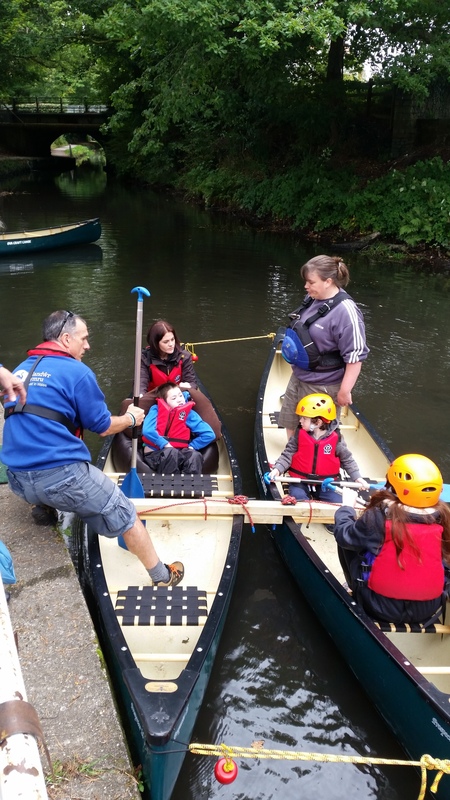 We are always looking for new volunteers to help us in a range of ways from administration, fundraising, working on the canal, to working on our Canoe Hire Project. All abilities and ages are welcome. If you would like to join us in any capacity, you will be given a warm welcome. Just go to the Contact Us page and we will get back to you as soon as possible. If you feel that volunteering is not for you, then perhaps you would like to support us by becoming a member. Whatever you decide to do, please come and visit the canal and take a walk or ride along it, and enjoy its beauty and the wildlife it supports. Thank you for looking at our website and we hope you enjoy reading our blogs, looking at our photographs and seeing what we are doing.